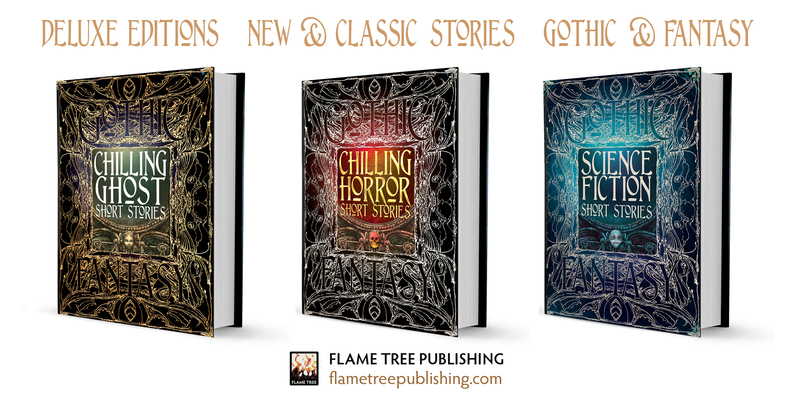 Flame Tree Publishing has released the Table of Contents for their new line of Gothic Fantasy line that includes Chilling Ghost Short Stories, Chilling Horror Short Stories, and Science Fiction Ghost Stories. For more insight into the process of reading and choosing the stories, as well as the editing and design of this new line, check out their GONE TO PRESS blog. I’m extremely pleased to be part of this project, excited to see the finished product, and hope you’ll consider picking up a copy next month. This entry was posted in Shameless Self Promotion and tagged Anthology, Chilling Horror Short Stories, Flame Tree Publishing. Bookmark the permalink.